Those who enjoy slow-paced days and peaceful nights will find Playa Junquillal irresistible. There is no 5 o'clock traffic, or traffic at any time of day for that matter. In fact, with luxury homes, vacation rentals, and just a handful of hotels and restaurants strewn about the area, there is not even an actual town center in this quiet, delightful corner of Costa Rica that's a mere 20 minutes from a large, bustling beach town. 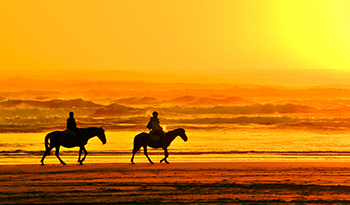 From tucked-away vacation rentals with stunning ocean views to beachfront luxury homes, it's no wonder why some investors choose Playa Junquillal for a second home or for retirement in Costa Rica. Few locations offer the secluded lifestyle enjoyed by residents in the Playa Junquillal area. The market is not saturated with development like other, more well known beach communities, making it all the more enjoyable for those who are looking for privacy when investing in Costa Rica. 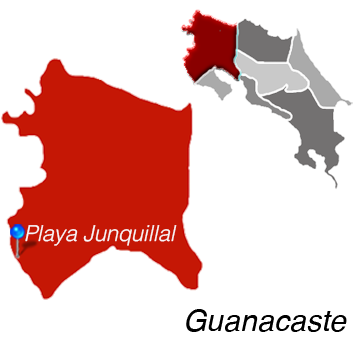 Playa Junquillal real estate is most attractive to investors who are looking for some peace and quiet. Both are plentiful along the nearly deserted beaches of Junquillal. Strolling on the beach, having an oceanside picnic, watching the communities of hermit crabs scuttle about–all of these are perfectly acceptable pastimes in Playa Junquillal. Beautiful tide pools create an excellent scene for snorkeling and exploration. There are a number of beautiful beaches within walking distance to the north and south of Playa Junquillal, each with its own special characteristics. Playa Junquillal is Located in Guanacaste.